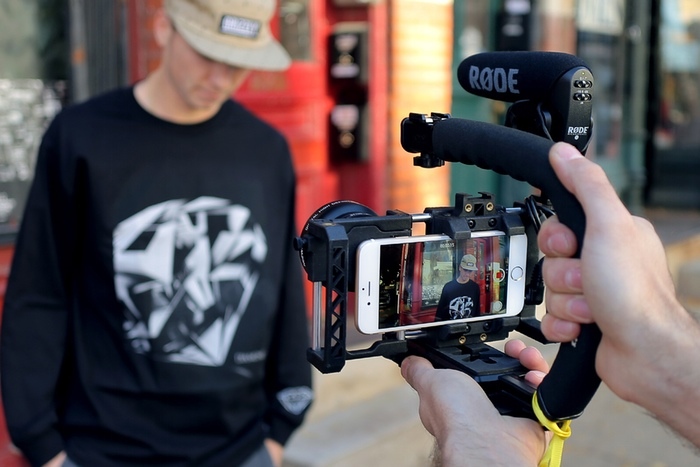 Just when you thought we’d hit peak smartphone filmmaking, along comes a gear item on its second Kickstarter run, that hopes to catch the ‘phoneography’ wave before it breaks and crashes. 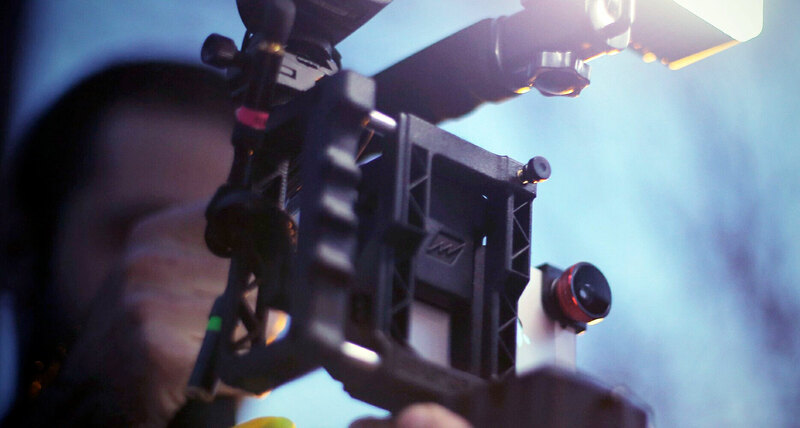 The Beastgrip Pro is a universal lens adapter and professional rig for your smartphone, that turns it into a fully functional camera setup. The Ukrainian inventor of the rig is Vadym Chalenko, a trained pharmacist who now resides in Chicago. 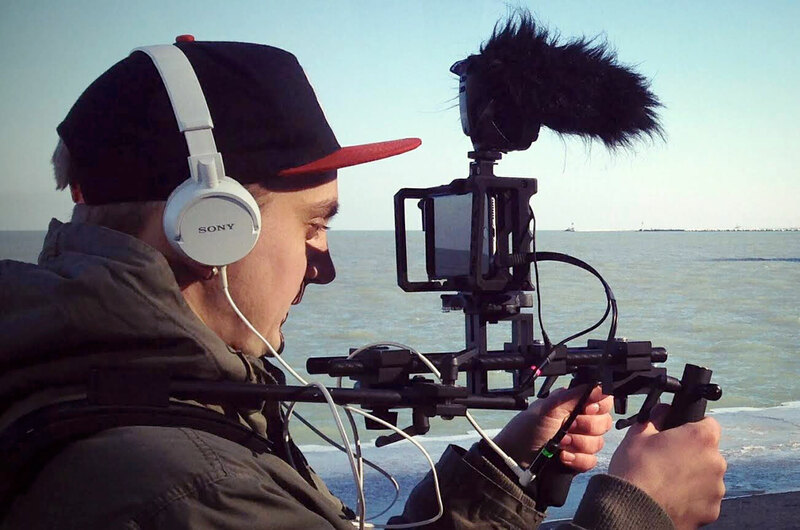 After stints as a graphic artist, photographer and Comcast technician, Chalenko came up with the idea for his smartphone rig and designed it at home, using a free version of Autodesk 123, aluminium tubing and 3D-printed parts. 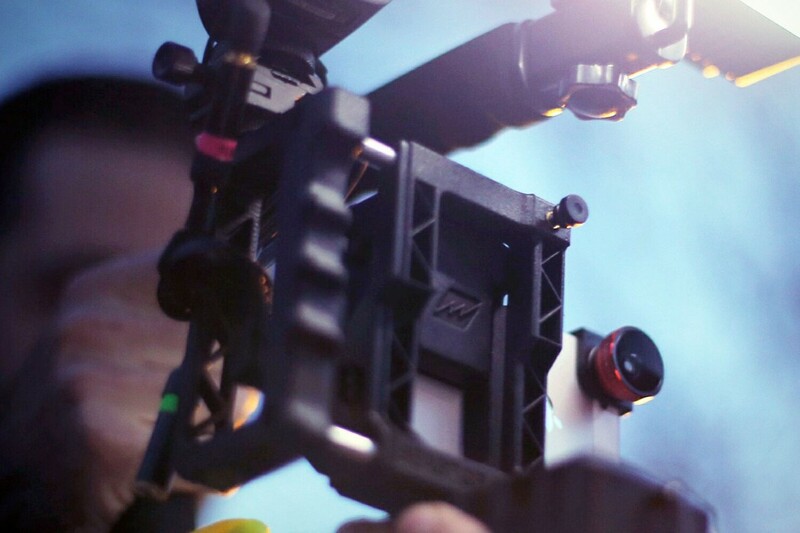 Timelapse of the Beastgrip Pro being loaded with accessories. 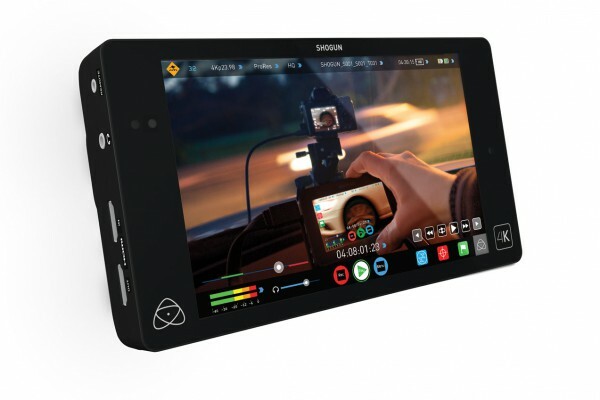 The initial Kickstarter campaign managed to raise almost US$40,000, and the feedback he received from those first backers went into the redesign for the new ‘pro’ version. One of the most asked for elements was the DOF adapter that Chalenko had created as a DIY accessory for the original BG. He told Hugh Brownstone from Planet 5D that he’d received numerous requests from people to make them one, so he decided to do that very thing and include on in the new campaign. 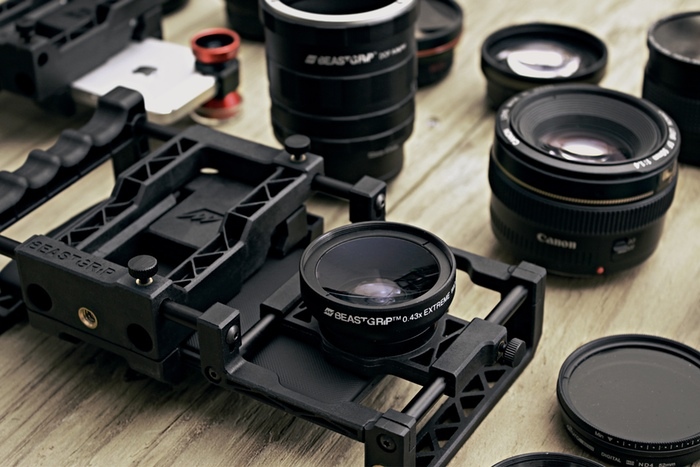 Along with a number of conversion lenses (wide-angle and fisheye), that will be sold alongside the BG Pro. At the time of writing, the BG Pro campaign has already beaten its previous run with over US$41,000 and 29 days left until it ends. 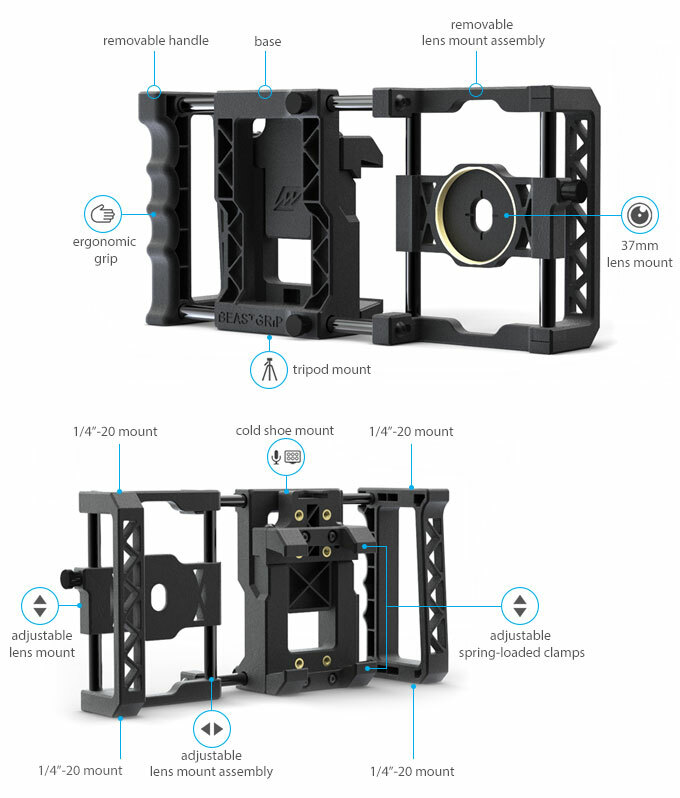 The (patent-pending) design includes an adjustable lens mount (built on a three-way axis) and clamps that can adapt to fit most phones. 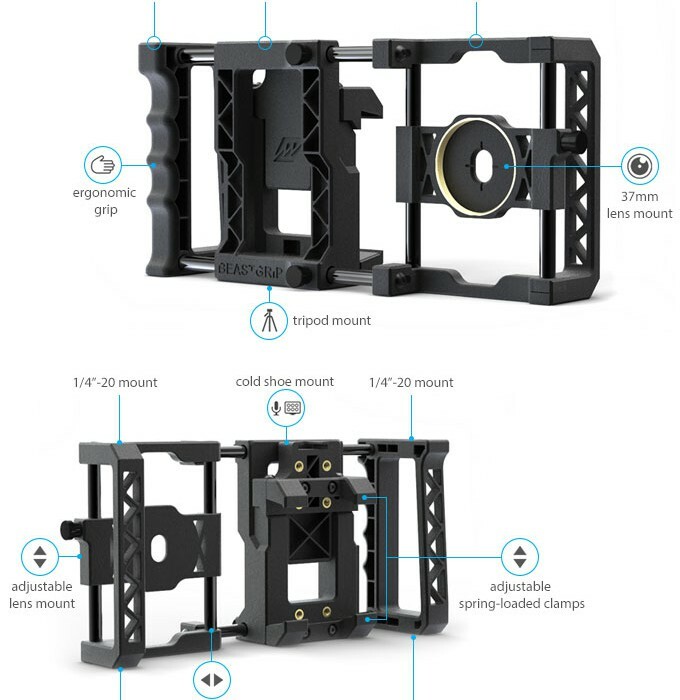 It can also accommodate phones that have protective covers on them, although owners of the LG Flex/2 and G2 will have a difficult time making the lens adapter align. 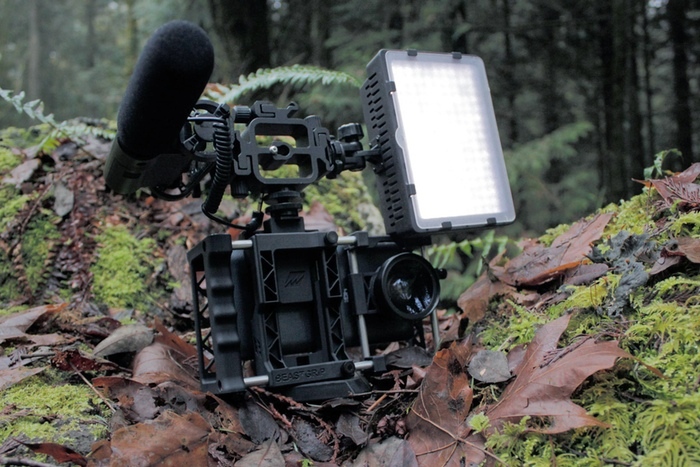 The rig features a standard threaded 37mm lens/filter mount, cold shoe mount and five 1/4″-20 threaded mounts for those who like to load their rigs up with mics, lights and a monitor. 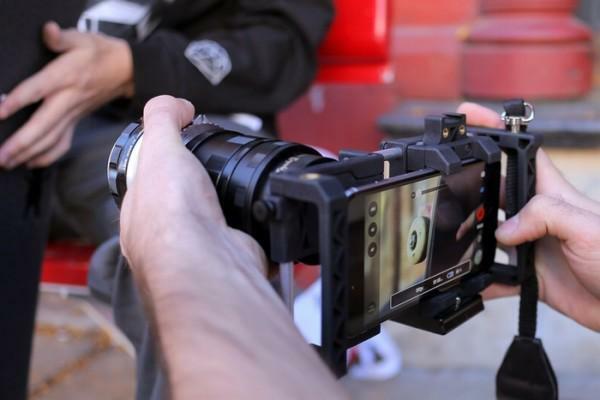 Fitting the Beastgrip Pro with a smartphone. The main body components will be assembled in Chicago. Chalenko has designed them to be made using glass-filled nylon material, with a custom-machined brass lens mount ring and threaded inserts fitted into the body material before it hardens. It’ll also features rubber clamps, with custom-machined anodised aluminium standoffs and aluminium thumb screws with nylon tip. 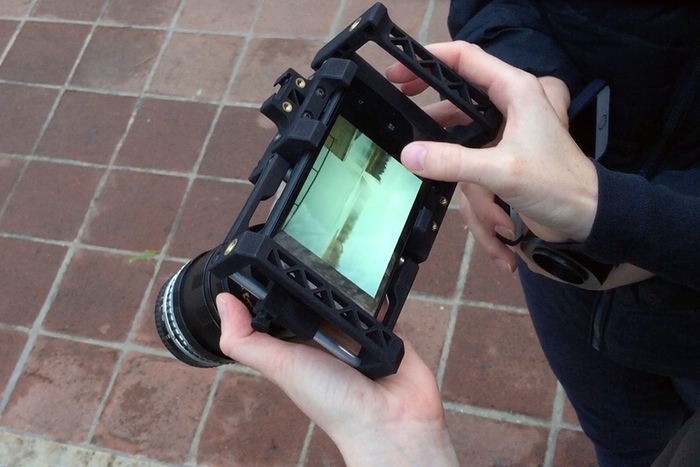 The DOF adapter allows the use of SLR lenses to be attached to your phone, it has an EF mount on the end with a set of macro lenses on the other end, with a Canon EE-a focusing screen inside. Despite producing a shallow depth of field, it does have some limitations, like loss of light, vignetting and degradation of image. Also, it should really be only used with very fast glass, with an aperture no less than f2.8, due to the frame being much darker from the light loss. Otherwise you might be looking at quite a lot of beautifully focused noise. All prices in USD, shipping expected to begin in August, 2015. The Kickstarter campaign can be found, HERE. 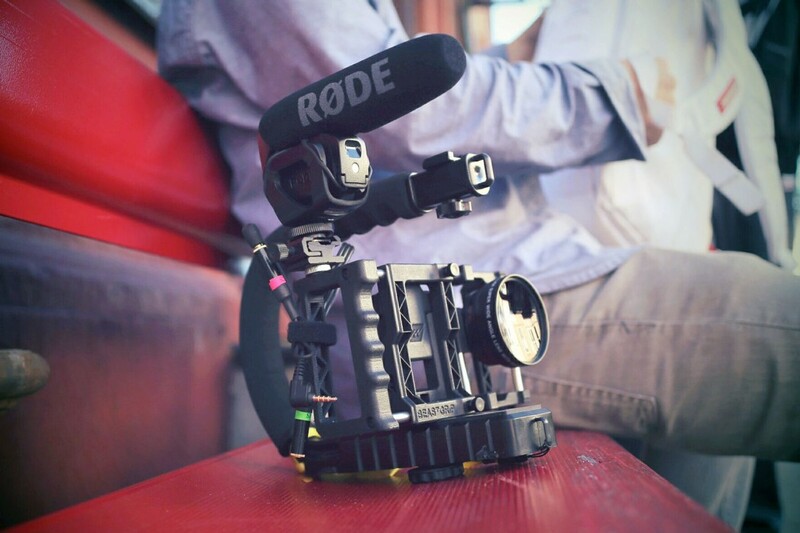 Feature image: BG Pro sporting the Røde VideoMic Go – To win your own VideoMic Go register for our free E-News HERE!